New Zealand Geographic Society and the New Zealand Board of Geography Teachers (NZBoGT) are the organisations that support the New Zealand team that travels to the International Geograpy Olympiad. Promote links between the secondary and tertiary sectors and wider workforce within the geography community. The NZBoGT runs a range of activities for geography teachers and students in New Zealand including national competitions for gifted and talented Geographers. One of the activities that the NZBoGT does is to select a group of four students to travel to the annual International Geography Olympiad (iGeo). At the iGeo gifted and talented young geographers from New Zealand have the chance to participate compete against students from around the world. The event was set up in 1992 and is organised for the International Geographical Union by the IGEO based in the Netherlands. The format of the competition is enshrined in the Olympiad statutes; the three formal tests include an extended writing assignment that explores geographical knowledge in depth, and a multimedia examination that requires the use of a wide range of geographical information in creative and innovative ways and field work and cartography activities. Students also participate in a cultural event and geographic poster competition, sharing New Zealand with the rest of the world. Check out the iGeo Website to see what past competitions have been. 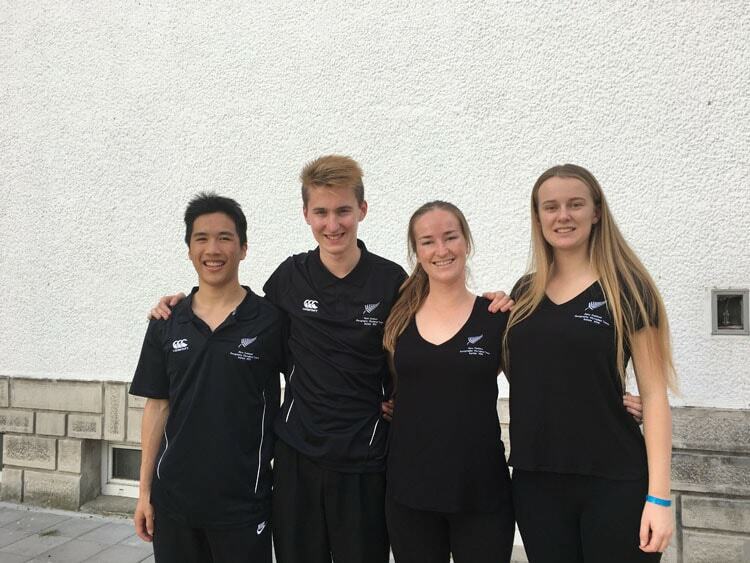 Yan Hao Tan (Burnside High School), Jonty Wispinski (King's High School, Dunedin), Libby Inwood (Kerikeri High School) Sarah Hyde (Otumoetai College). The 2018 iGeo will be held in Quebec, Canada.